My most recent memory of a Happy Meal is when I was in high school and me, my sister, and my cousins were collecting (or at least were trying to collect) all 101 Dalmatians toy figurines. They were all so cute with different designs so it actually got frustrating that there were so many to collect hahaha! 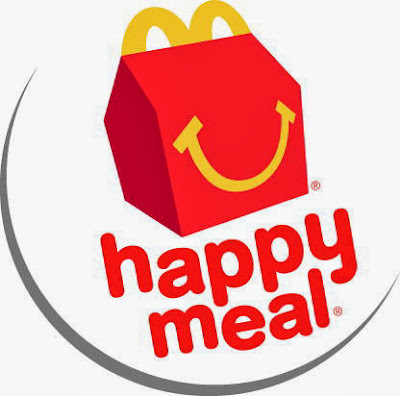 That was a long time ago and I actually almost forgot about the Happy Meal until they relaunched it a few weeks ago. Thanks McDonalds for bringing back this happy little box just in time that I now have my my own little bundle of joy! 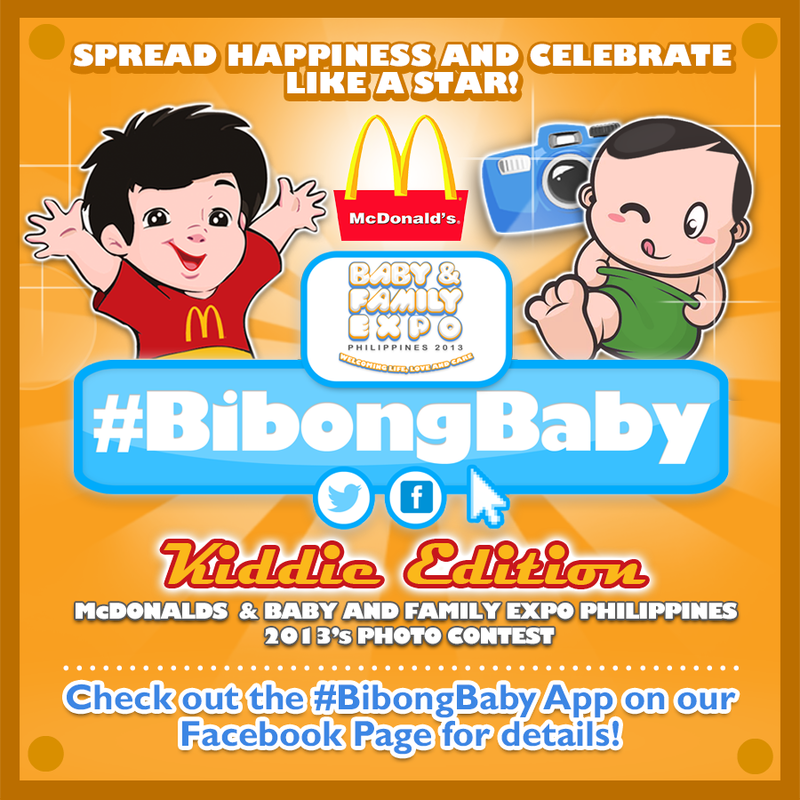 And to add to this happy news, McDonalds has been holding an exciting photo contest together with Baby & Family Expo! Babies had their photos taken holding a Happy Meal for the #BibongBabyKiddie Photo Contest Kiddie Edition. It's a contest that features adorable photos capturing kid's happiness. 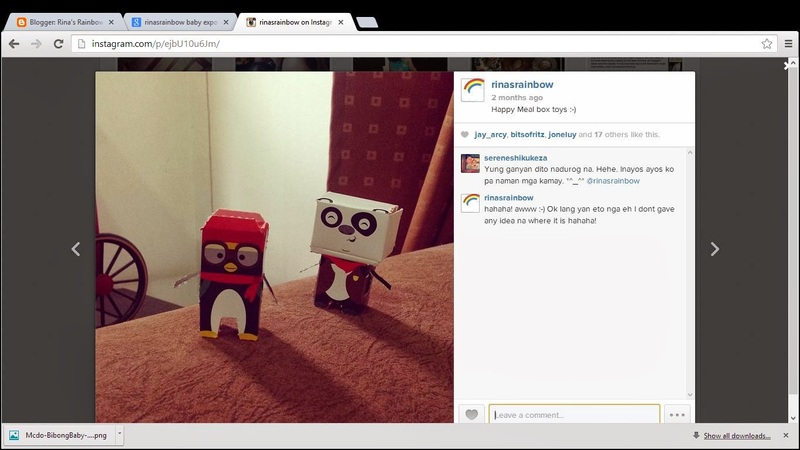 Check out the adorable entries here ! The winners will receive a McCelebrations package from McDonald’s. Like you, I can't wait to find out who wins! Only a few days to go until the Baby & Family Expo Philippines 2013 commences on December 06-08, 2013 at the SMX Convention Center, Mall of Asia Complex. And there you will see the famous Ronald McDonald with the rest of the gang: Grimace, Hamburglar, and Birdie, are all going to be there to play with the children. Something your kids can look forward to when you get there! Also, all-throughout this 3-day expo, McDonalds will be exhibiting exciting new themes of McCelebrations so watch out for that as well. I for one am very interested to see what new themes they have for Children's Parties! This is just one of the many attractions at the Baby & Family Expo. This is just a drop in the bucket! There's so much to do, see, and learn at the Baby & Family Expo Philippines. To learn more about this bazaar, check out my post here. Join the biggest family celebration for by registering for free at the Baby& Family Expo Philippines 2013 website http://babyexpo.ph/registration.php. For queries and updates, you can call +632.843.2174, email info@babyexpo.ph and join the community at http://www.facebook.com/babyexpoph and http://twitter.com/BabyExpoPH. i do really love a lot of toys they are making for Happy Meals) I have few collections already even though I'm a grown person) It's really great that the prices of edubirdie allow me to save some money and spend them on the Happy Meals. It makes me so much happy. 4th Babypalooza Bazaar + A Giveaway!